Aqualious.com is the PUP that uses misleading techniques to prevent removal. Use Reimage to locate malicious components and get rid of them faster than with uninstall instructions. A full system scan blocks virus reappearance and prevents traffic to malicious domains. Aqualious.com virus - what should you know about it? How did Aqualious.com hijack your PC? Aqualious.com virus – what should you know about it? Aqualious.com is a website that supposedly provides web search engine. It is promoted by a potentially unwanted program (PUP), and computer security experts claim that this program is a browser hijacker. You can hardly find its download link online, and it is so because it spreads together with other free programs. 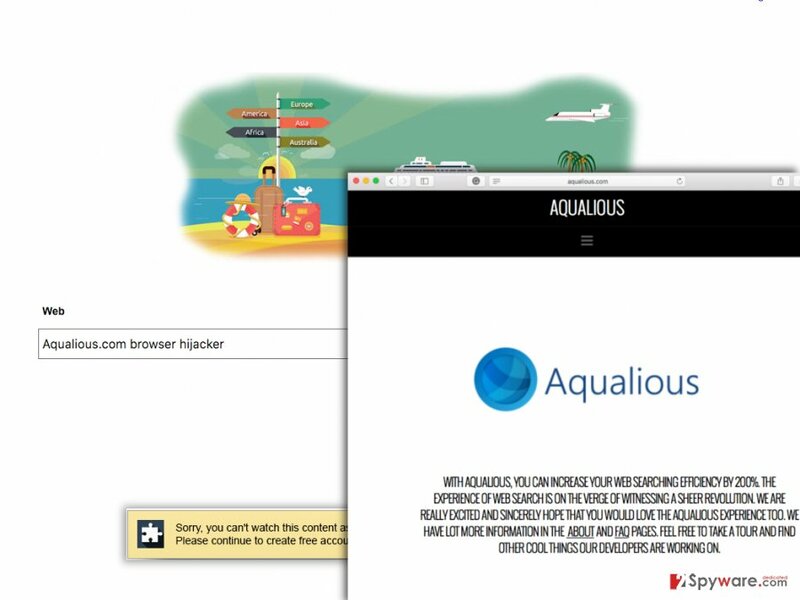 Aqualious.com browser hijacker is meant to change browser’s homepage to the web page that we have already mentioned and also set it as a default search engine. No matter that it looks safe and sound, it has some disadvantages that we must warn you about. First of all, we must warn you that Aqualious.com search engine is not safe to use. Reportedly, it provides corrupted search results that open suspicious third-party websites instead of websites related to the search query. These search results open predetermined web pages in order to promote them, however, in relation to the customer user, such activity is quite deceptive. In addition to that, you must be aware that some websites promoted via this bogus search engine are dangerous. Aqualious.com redirects can lead you to high-risk web pages filled with objectionable content or even infectious computer software download links. What is more, Aqualious.com PUP slows down the computer. Processes related to this browser hijacker distinguish themselves by high memory usage. It goes without saying that you should not tolerate such occurrences and solve this problem immediately. We strongly advise you to remove Aqualious.com PUP from your computer and consider changing your homepage and default search engine to a more reliable one, for example – Google. The easiest way to complete Aqualious.com removal is to scan your computer system with Reimage anti-spyware software and then remove this browser hijacker and other computer infections automatically. Are you confused because you cannot remember installing Aqualious.com browser hijacker on your computer? If so, you should learn how to install new programs correctly. Do not worry – we will explain to you what is the right way to do it. Most of the time, PUPs travel alongside free programs presented as “recommended” additional downloads. Unfortunately, such “recommendations” are not always disclosed quite fairly. Therefore, whenever you download new software, you have to adjust its installation settings. Switch from Default/Standard installation mode to Advanced/Custom one and then look for optional software included in your download. Then just uncheck the checkboxes next to them. 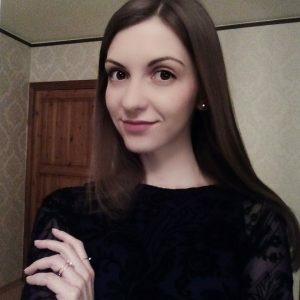 If you have already discovered Aqualious.com in your web browser, and now you are looking for a comprehensive Aqualious.com removal tutorial, please proceed to the following page. Although Aqualious.com removal might seem to be a quite complicated task, in reality, it is not. You just need some clear instructions how to do it properly. We have already prepared them for you, so please scroll down the page to find them. However, if you would like to remove Aqualious.com virus and also protect your computer from viruses, we recommend you to opt fo the automatic Aqualious.com removal option. There are many anti-spyware and anti-malware solutions these days, however, in order to stop Aqualious.com redirects and secure your computer from spyware/malware, we recommend using Reimage. In our opinion, it is the best option for PC users. If you are a Mac user, we recommend using Webroot SecureAnywhere AntiVirus software. Here, look for Aqualious.com or any other recently installed suspicious programs. Wait until you see Applications folder and look for Aqualious.com or any other suspicious programs on it. Now right click on every of such entries and select Move to Trash. When in the new window, check Delete personal settings and select Reset again to complete Aqualious.com removal. Once these steps are finished, Aqualious.com should be removed from your Microsoft Edge browser. Here, select Aqualious.com and other questionable plugins. Click Remove to delete these entries. Now you will see Reset Firefox to its default state message with Reset Firefox button. Click this button for several times and complete Aqualious.com removal. Here, select Aqualious.com and other malicious plugins and select trash icon to delete these entries. Click Reset to confirm this action and complete Aqualious.com removal. Here, select Extensions and look for Aqualious.com or other suspicious entries. Click on the Uninstall button to get rid each of them. Here, look at the Homepage field. If it was altered by Aqualious.com, remove unwanted link and enter the one that you want to use for your searches. Remember to include the "http://" before typing in the address of the page. Now you will see a detailed dialog window filled with reset options. All of those options are usually checked, but you can specify which of them you want to reset. Click the Reset button to complete Aqualious.com removal process. This entry was posted on 2016-04-18 at 06:29 and is filed under Stealing programs, Viruses. You can quickly scan the QR code with your mobile device and have Aqualious.com virus manual removal instructions right in your pocket. How did you remove Aqualious.com virus?